I didn't find a lot last week, but I'll show you what I did find anyway! 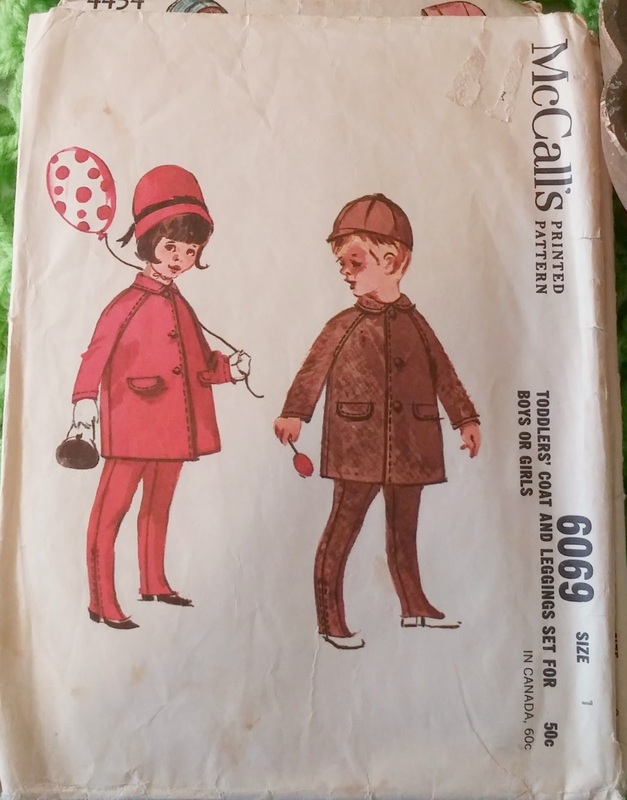 These old patterns are pretty cute don't you think? This one with the girl holding the balloon is my favorite, she's so sweet looking! And the little boy on the left of this one is funny... I wonder what he's so mad about and what the other boy is so smug about! lol! Do you remember these huge old metal spoons? I think I'll paint this one and plant some succulents in the bowl. 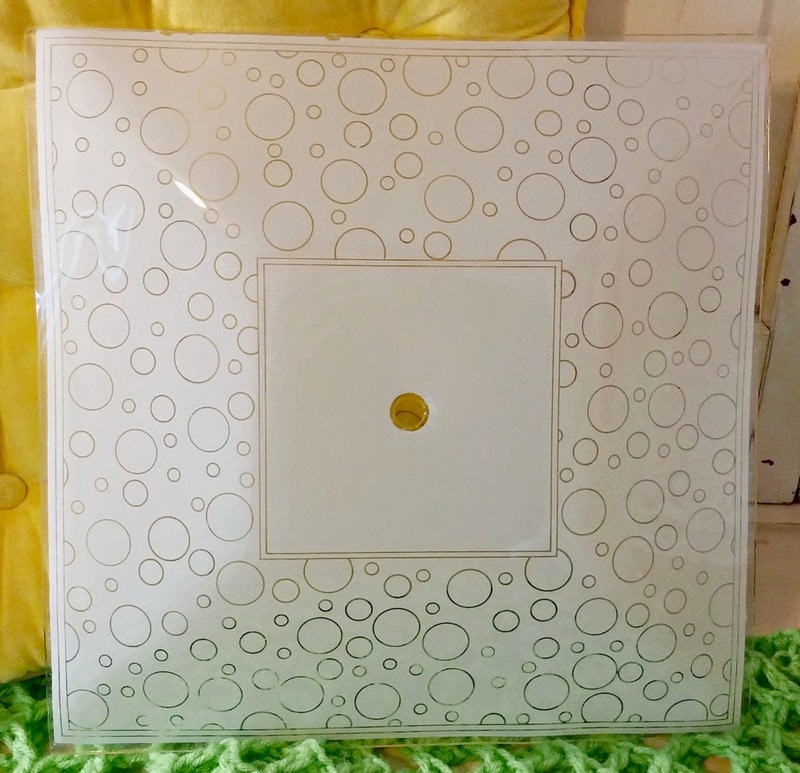 I thought this light shade was cute with the polka dots! I am going to try making a clock out of it! 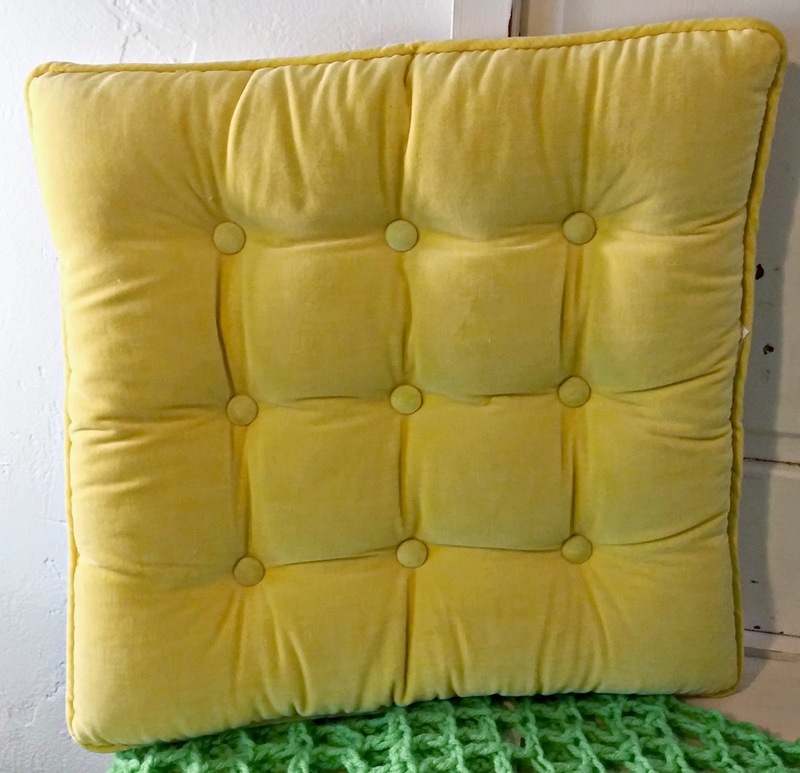 And this vintage pillow is in perfect condition and such a pretty sunny yellow color! I liked the shape of this basket... I may keep it. 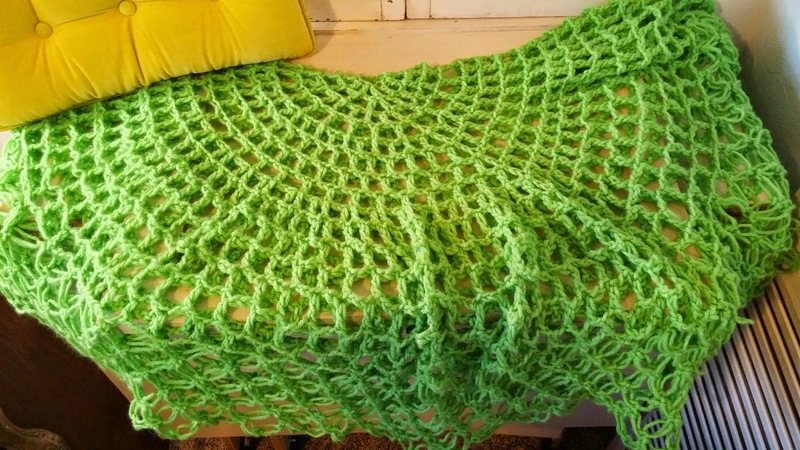 And a large, green crochet tablecloth, perfect for spring! Not much, like I said but still some goodies don't you think? 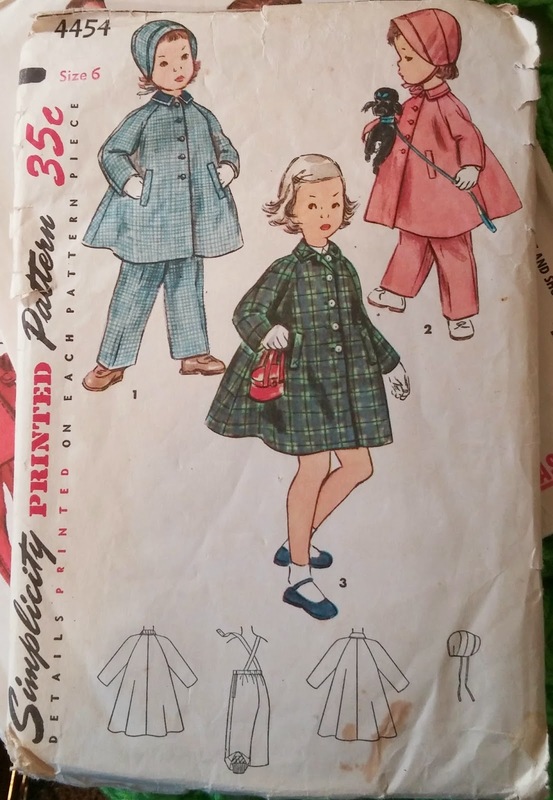 The patterns would be cute framed for a child's room. 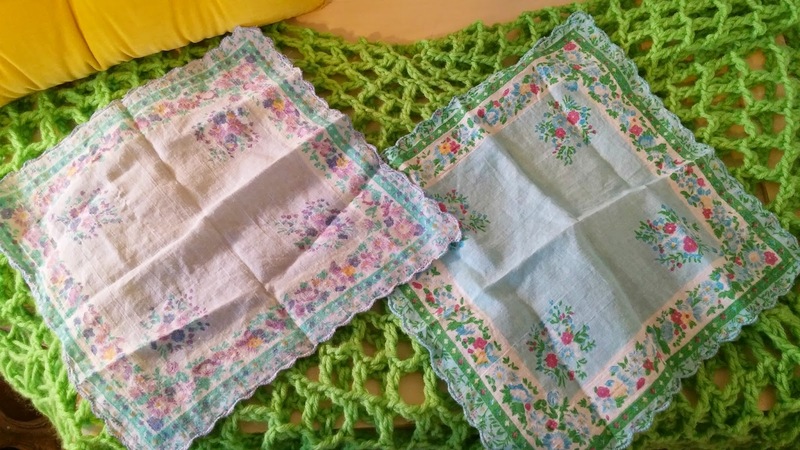 Love the hankies and the basket. My haul was small this past weekend, too. 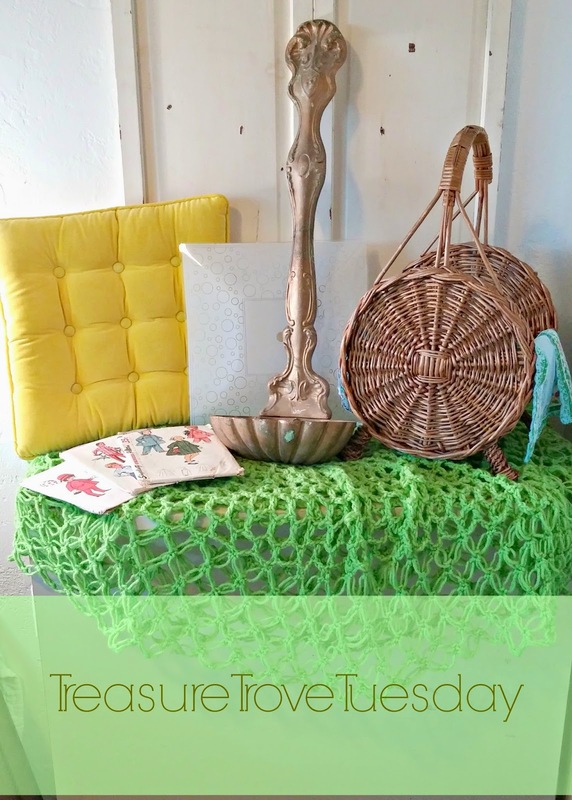 Fun finds! 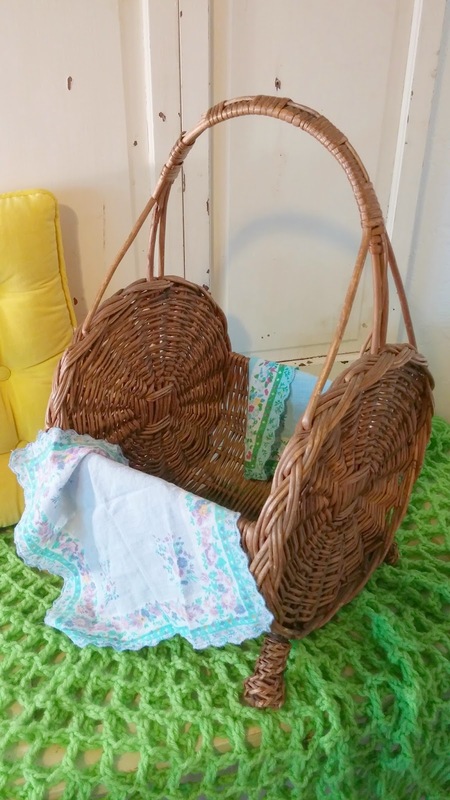 I love that basket! 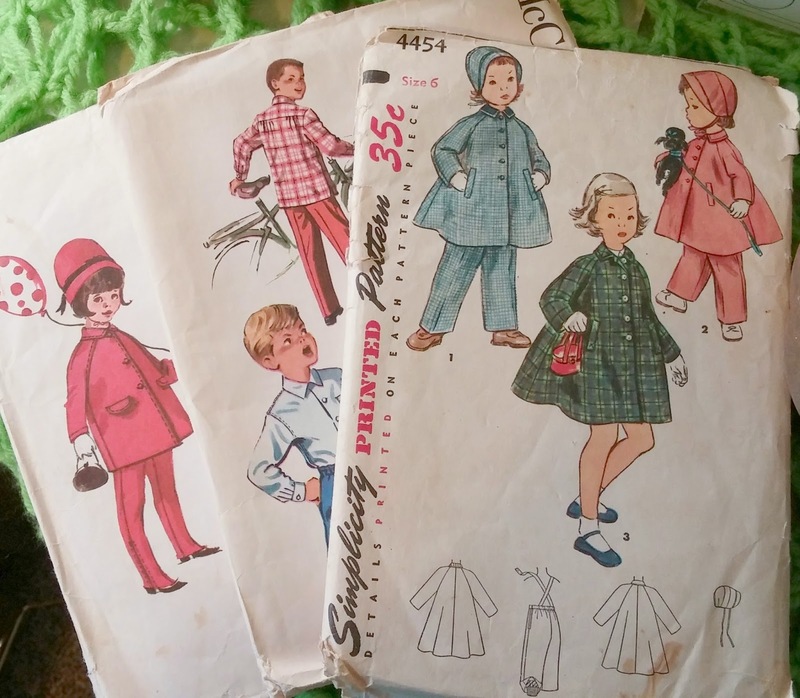 And you know i love vintage patterns! Those are adorable. 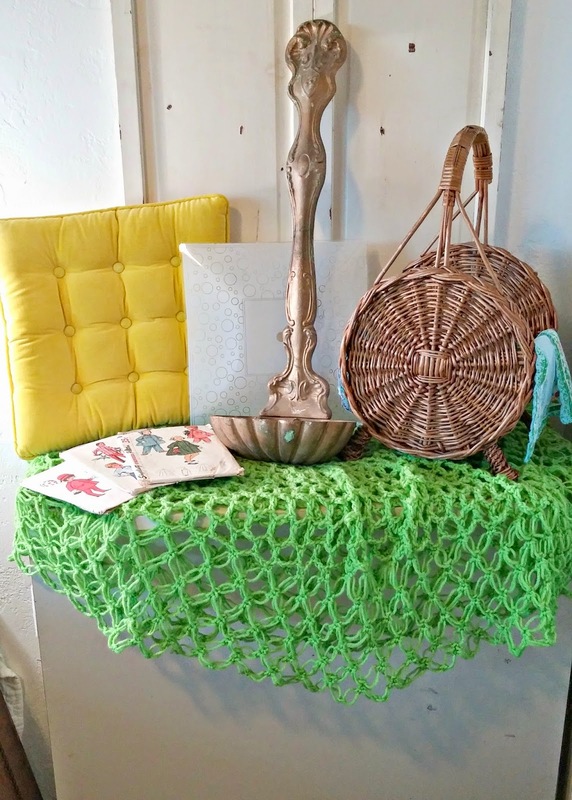 Fun finds and very springy colors too! 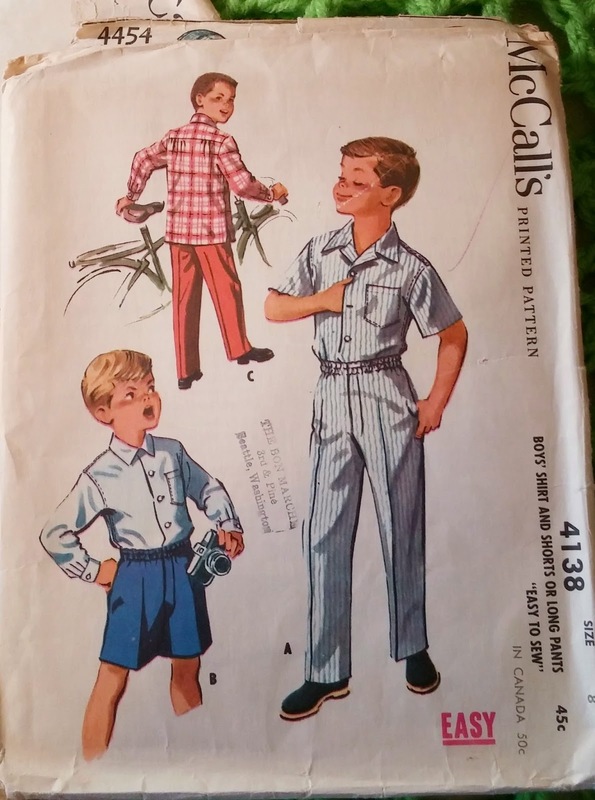 Those patterns are sweet...but can you just see a boy wearing that outfit that the smug boy is wearing? LOL! Poor kid! My favorite is the basket, and the big spoon. Cool idea to plant succulents in it. I am wanting some succulents for my kitchen window. Where is the best place to find them?